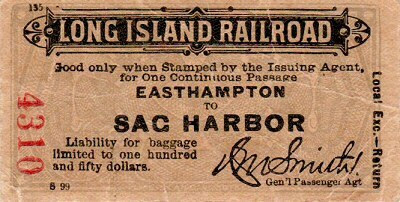 Point O' Woods is a hamlet that consists of a private vacation retreat on Fire Island, New York, in Suffolk County. 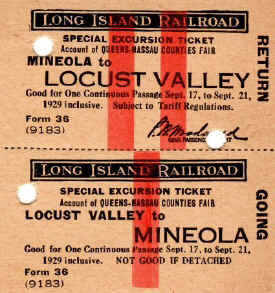 Although it resembles a village or small town, with services such as a ferry port, a general store, church and fire department, it is open exclusively to members and their guests, who are the only persons allowed in through the hamlet's gate, or allowed to use the private ferry which runs to Point O' Woods from Bay Shore on Long Island. 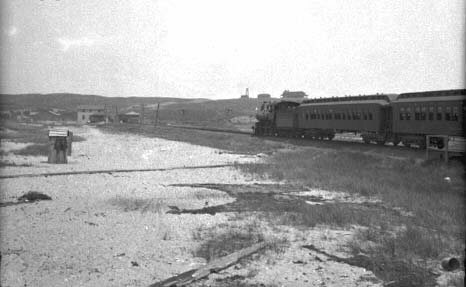 It was originally organized in 1894 for religious retreats, some from the Chautauqua assemblies. 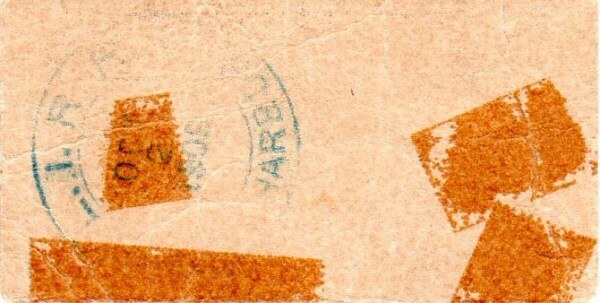 In approximately 1898, the Chautauqua group went bankrupt, and ownership passed to the Point O' Woods Association, which administers it today. 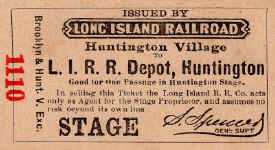 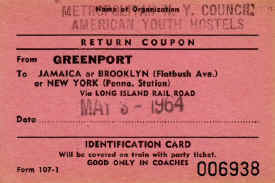 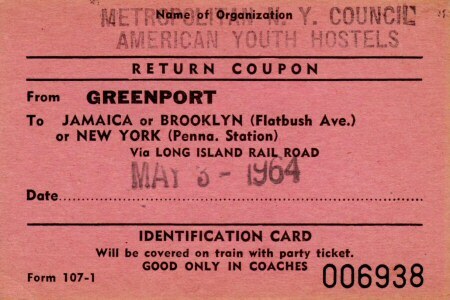 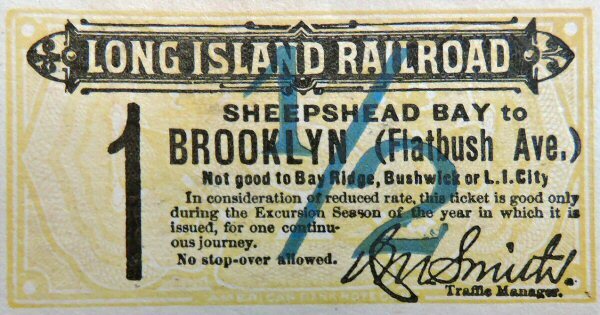 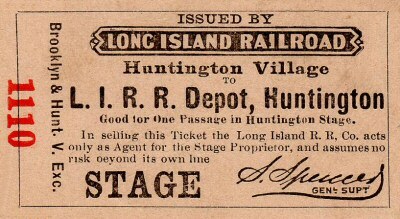 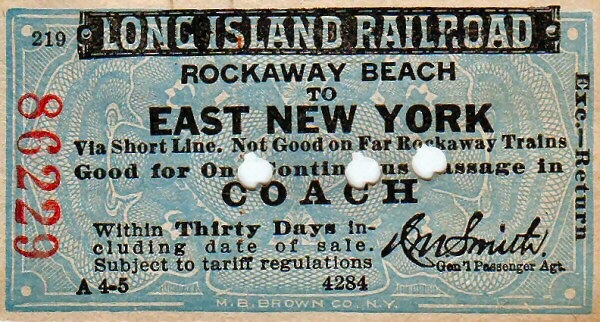 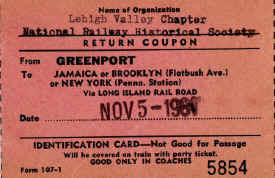 Round trip Special Excursion - Greenlawn Cemetery Association ticket from New York City , via LI City, to Pinelawn Cemetery stop. 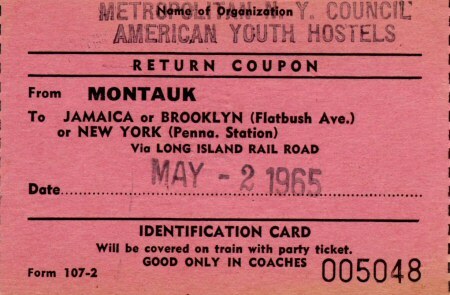 The vertical stripes were almost exclusively on older round trip tickets. 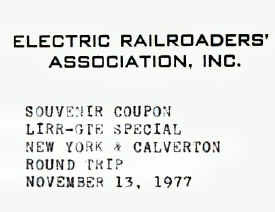 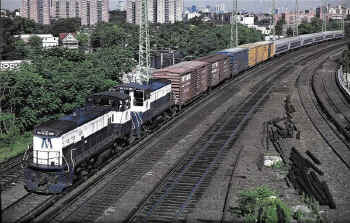 The going portion (which did NOT have a contract and the signature of the General Passenger Agent) had one stripe and the return (contract portion) had two. 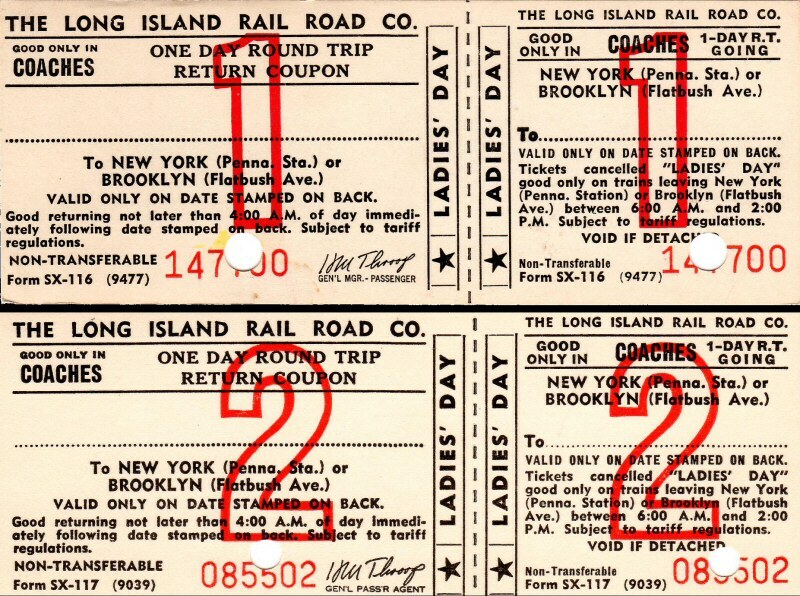 On crowded trains, the conductor could easily recognize the difference. 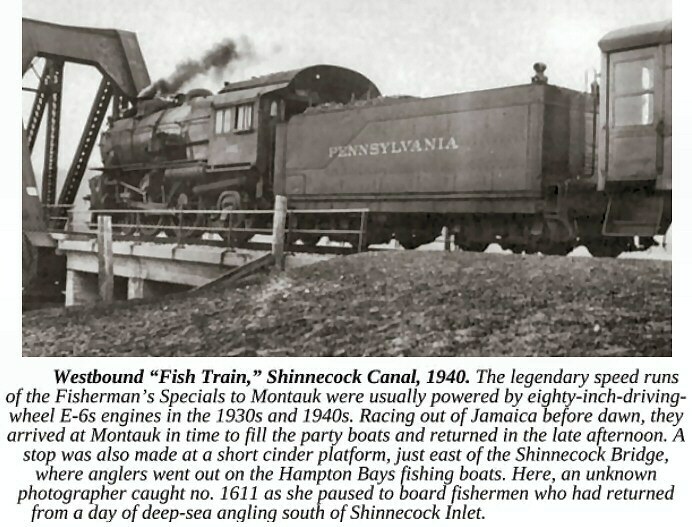 Brooklyn to Jones-Beach via Wantagh Bee Line Bus Co.
probably a 1898 fishing special. 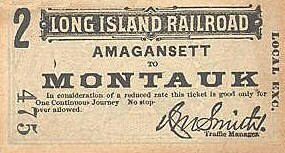 Although the branch was extended from Bridgehampton to Montauk in 1895, Amagansett was the terminal with very few trains running the full route to Montauk. It wasn't until March 18, 1929 (34 years after opening the branch extension) that Amagansett was no officially longer considered a terminal and all trains went to Montauk. 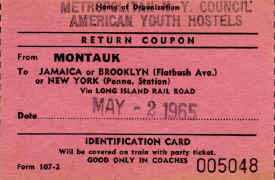 Fisherman's Special - New York to Babylon, Suffolk Bus Corp. to Captree and return. 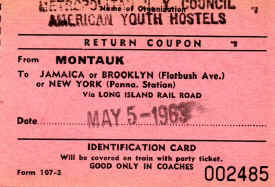 The "Bike-Hike" trips ran for several years sponsored by the American Youth Hostels. 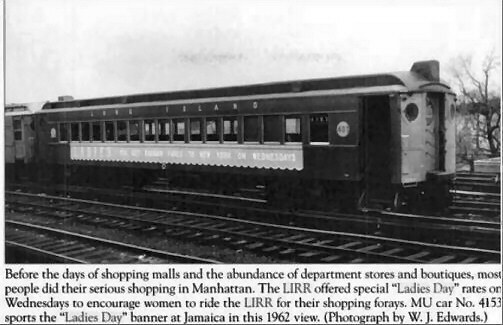 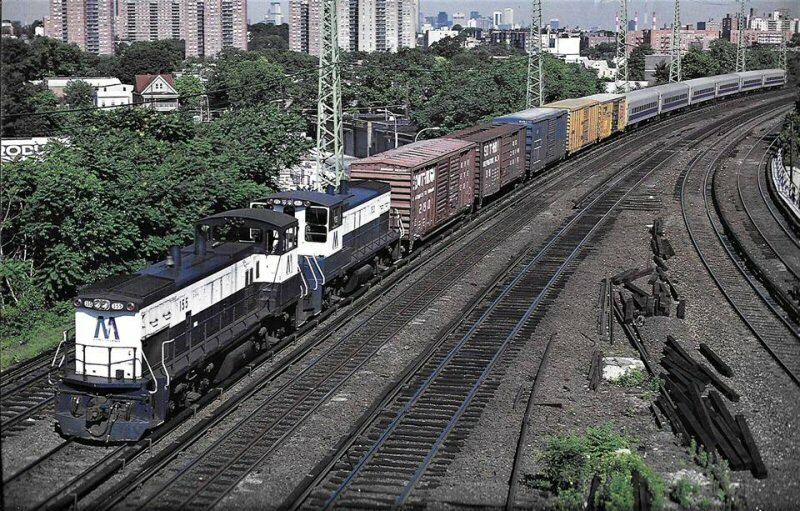 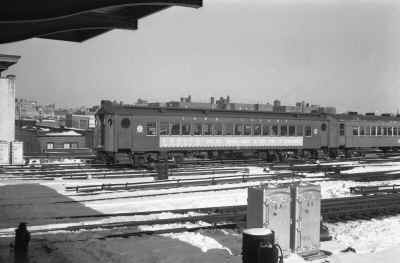 On May 5th, 1963, LIRR RS-3 #1556 hauled our train (3 or 4 baggage cars for bikes; plus bar car and coaches). These trips ran annually for quite a while. 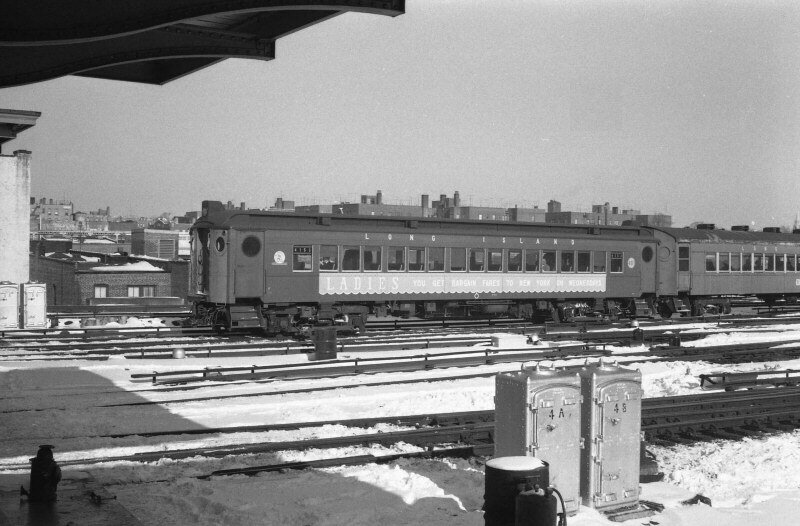 I don't remember what the reason for stopping them was, but perhaps the end of baggage service on the RR.